For several years the department has been authorized to have 1,057 sworn officers. "Due to attrition over the last few years the department's current complement is 1,017, and is anticipated to fall below 1,000 by early spring in 2019," Isaac wrote. Right now, the department is scheduled to begin a new recruit training class in April 2019. That class would have 45 recruits, and 15 of them would be funded thru a federal Cops grant. The city budget has to cover the remaining 30. Isaac is requesting city officials "explore all possible options for moving up the timing of the next recruit class." "Operating below our authorized strength places an undue burden on our patrol forces," Isaac wrote. "This may affect staff morale as officers may be required to take additional shifts to ensure the coverage necessary to maintain the level of service that Cincinnati residents have come to expect." It comes as city council is considering how to spend carryover money from last year's general fund budget. 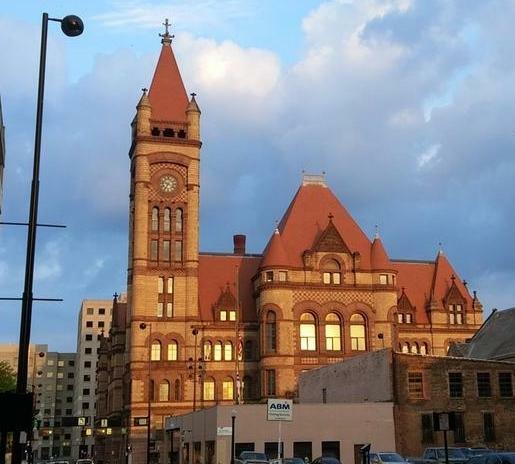 The group was supposed to vote on that spending Wednesday, but Mayor John Cranley is delaying consideration of those items until next week. "I believe we all need to re-evaluate the carryover discussion and decisions," Cranley wrote in a memo. "Certainly, I will support a carryover budget that includes a commitment to the earliest recruit date start as possible." Cranley said the department can't go below 1,000 sworn officers. On Monday, a committee approved additional funding for the Center for Closing the Health Gap, an eviction prevention program, and additional money for the heroin response call center and quick response teams. The money for those programs would come from carryover money from last year's budget. The police staffing issue and carryover budget will likely be discussed Monday during city council's budget and finance committee meeting. Cincinnati Council could vote Wednesday on a proposal that spends some of the $1.7 million leftover from last year's budget.